WIP THREAD FOR NEW USERS CONTEST, February 2013. 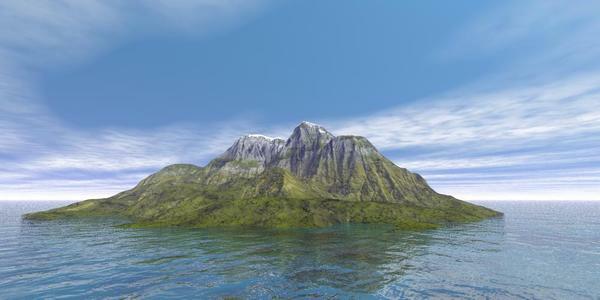 We are concentrating on using Bryce this month, as it is the program in the DAZ 3D stable of programs most often used for creating terrains and landscapes. Many of you will have downloaded it when it was free, and now we will help you get to grips with using it. 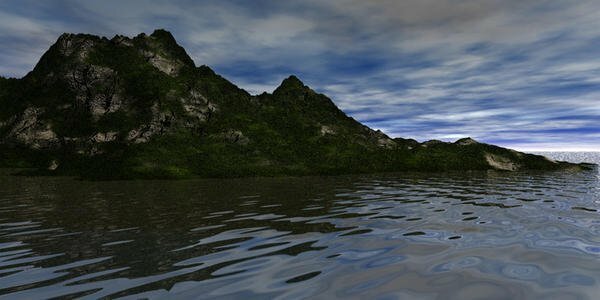 Intent: To produce an environment that can be used as it is in Bryce or rendered out to use as a background image for use in Daz Studio or Poser.We will also talk about transferring it from Bryce to Daz Studio using the built in bridge. We have people standing by to give you hints and tips varying from how to get your orignal terrain into the working panel to how to edit it to a lesser or greater degree, depending on what you wish to acheive. Bryce is very simple to use to produce a simple terrain, but we will try and guide you through how to customise it and add other features so that you can produce a useful and useable background for your scene, and eventually maybe even a landscape that is complete in itself. Most important thing to remember is that we want you to have fun and learn at the same time. Ad this is one I did, using a snowy mat that David kindly made for me. Time permitting I'll do my best to answer any questions you might have. And if they are particularly good/challenging/interesting, and again - time permitting - I'll try and make a short video to highlight my answer. My approach is generally to focus on lighting and material solutions first and then worry about adding complexity afterwards, after those problems have been solved. The reason being, everything you add slows down the response of the software a little bit - and working towards a solution, getting the light and the materials right is a multi-stage process whereby you gradually creep up on the lighting and materials you want. So my recommendation is keep things simple to begin with and get more ambitious when you can make a simple scene one or two elements nice to look at. A well lit, and suitably textured scene that is poorly composed will usually be more pleasing to the eye than a very complex scene lit with basic lighting and inappropriate materials. Many, many more tutorials are linked here and here, for anyone from beginner on up. I love Bryce. Unfortunately, I'm not really a new user, by any stretch of imagination, so I won't be able to do a contest entry. Bummer. Can I still ask annoying questions, though? Because I do have one, and I haven't gotten around to searching for the answer yet. How do you make snow in Bryce? I've never really tried. Never had any interest until about three weeks ago, then suddenly started wanting to go make snow. I starting using Bryce about 4 months ago and have a great deal of help from David's tutorials. 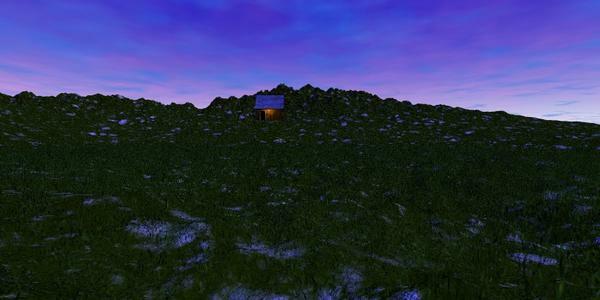 Here's is a landscape I have made. sorry, uploaded wrong file - correct one now in place. I'm Lurking for all the GREAT tips I'm so sure will be posted. I've been playing with Bryce for a bit now and really wish to get good enough to include it in my work flow, when I get a work flow back. Here's one landscape I have made. Ooh nice one Wendy. I can see how you have come on from the first Bryce renders you posted just a month or so ago. Is that an entry or an NAE. If it fits the rules, then it mightl be an entry chohole. Haven't decided yet. 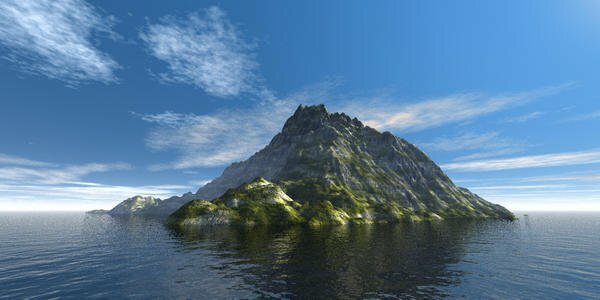 I hate to be a stick in the mud, but Carrara also has a terrain generator, atmospheric editor, plant creator, terrain shader functions and surface replicators. Any reason why you must restrict the contest to Bryce? Evil Prodiucer. It is stated quite clearly in the header post that this is a Bryce specific contest. Sponsored by Bryce PAs as well as DAZ 3D, and led by me as a veteran Brycer. If it proves to be popular and useful, then in the future we could possibly do a Carrara only one. Edited to add, and of course Bryce was until very recently being offered at 100% discount, and even now is very low in price, as against the price of Carrara, so we are likely to have many more Bryce New Users than we are Carrara ones, and this is the New Users Forum. As Cho mentioned, in the future we may do a Carrara and even Hexagon specific contest as well. I did see that. Why do you think I asked the question? Can I still ask annoying questions, though? Because I do have one, and I haven't gotten around to searching for the answer yet. How do you make snow in Bryce? I've never really tried. Never had any interest until about three weeks ago, then suddenly started wanting to go make snow. Snow is really tricky in any application because it's just so damned white, reflective and without proper lighting, featureless. So really it's about getting a balance of whiteness while keeping detail. I think made more tricky by the fact that Bryce doesn't do Sub Surface Scattering. 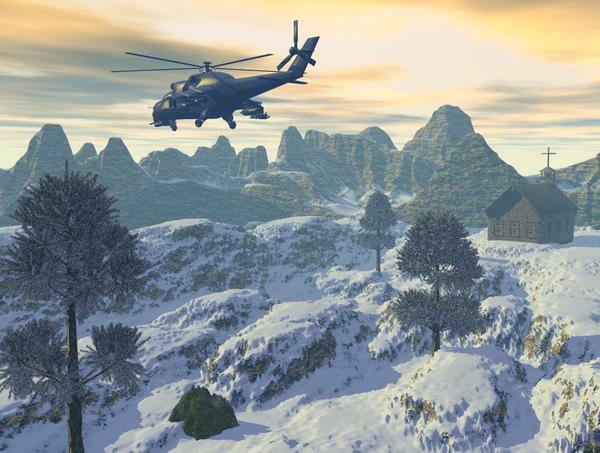 There are of course quite a lot of ready made shader mats with snow on them for snow topped mountains etc (see first example below) and if you are using Pro7 and have installed the extra content, you will have access to some of David's excellent pro materials which include several snows (including a groovy 'falling snow' which is a volumetric material that you can put in a slab or sphere to fill your scene with falling snow as in the second example below). 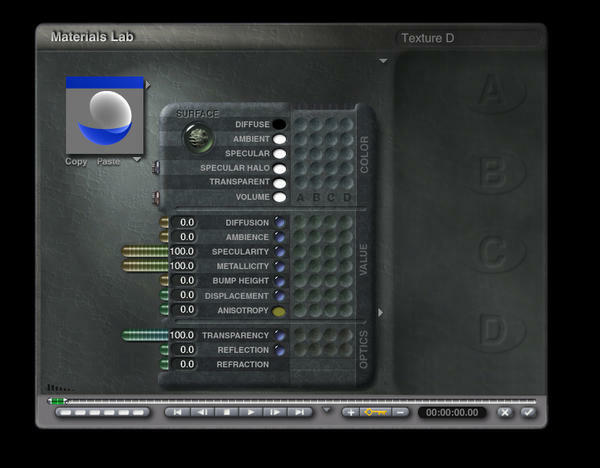 If you wanted to make you own material that allowed you to put snow on the top of objects within your scene, then that's done in the Deep Texture Editor (a scary place) and would involve using slope filters so that your snow only appeared on flat horizontal surfaces while the rest of the object had a regular material showing on it's vertical surfaces. 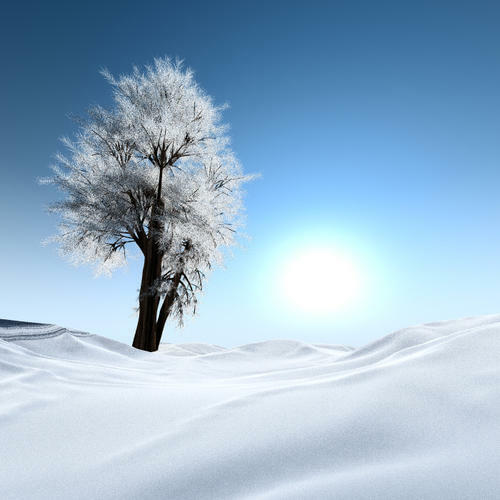 Chohole also came up with a good way to simulate snow on the branches of the trees in her render above, but I'll let her explain how she did that. While it is true that Bryce doesn't do SSS (sub surface scattering) we are getting ever closer to potential ways of faking it - a bit. Here in a recent experiment. OK yes, that's a bit advanced for beginners, but if you can follow the steps it will just work. So snow... 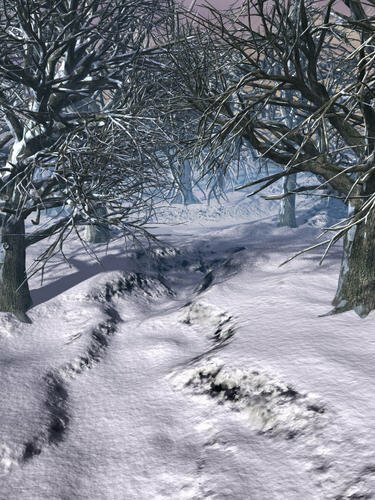 This same effect can be very slightly modified to give a sort of nice impression of snow - the same material as is on the terrain I used for the tree leaves. 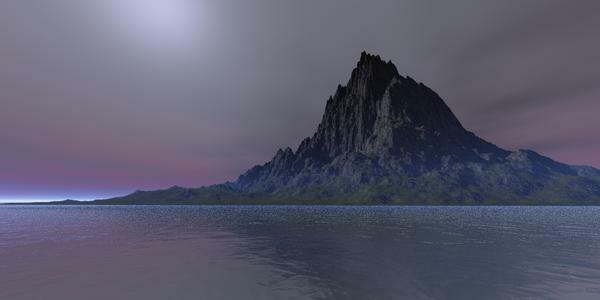 An infinite ground plane, tinted slightly blue is slipped under the terrain to control the colour of the light scattering back up from beneath. Picture 2. That's the material settings. 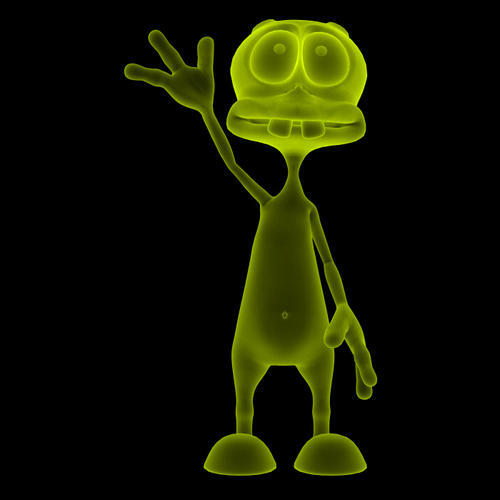 The Diffuse is fully black the Specular halo needs to be fully white. For that set the RGB values by clicking on the colour swatch while holding down the alt key. Picture 3. Don't need any complex lighting for this. Just a bit of sun put behind the scene so it is in the camera view. Unlike in the video I have left the shadows on and softened them. 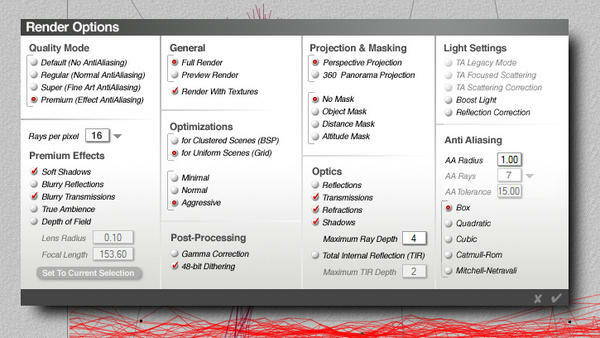 This increases the render time from seconds to minutes. But it is necessary for a scene which you want to be vaguely realistic. Picture 4. The render options are vital to this effect. Blurry Transmissions is controlled by the Specular Halo colour. 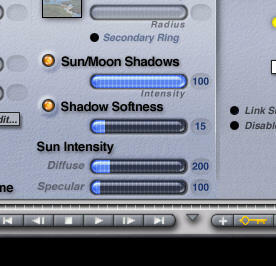 Soft shadows to make the soft shadow control for the sun work in premium render mode. 16 RPP will do, it adds some nice noise to the snow effect. Reflection is not needed in this scene, so switch it off and save some render time. Picture 5. Render time under three minutes on my i7. This is my first time that I really used Bryce and rendered something. 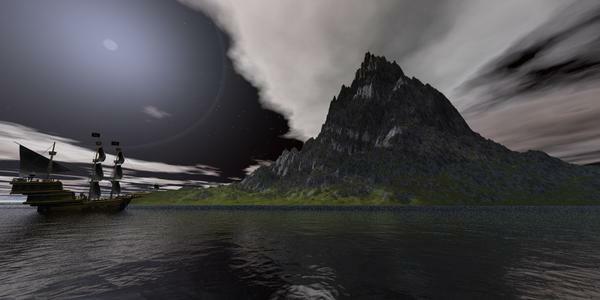 I used Bryce 20 minute beginners project – simple landscape – a tutorial by David Brinnen. 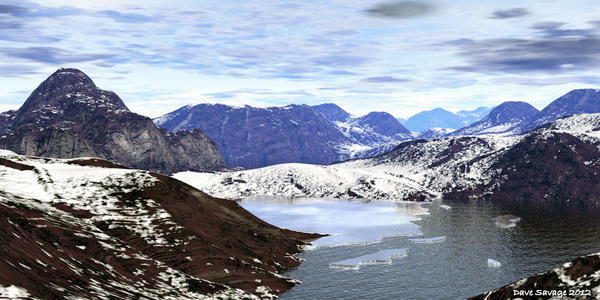 Good start, you have got a sense of scale and that's very helpful if you are making a landscape scene. Now consider your light, maybe you need a bit more. Try boosting the sun perhaps? I read this month's new user content forum and decided to dig out and install the free copy of Bryce that I had downloaded back in November. I had a few challenges on making it work on my Mac and I couldn't ever find my pro content materials folder to follow David Brinnen's tutorial exactly but I made due. This is my first attempt in Bryce. It is not an entry for the contest I just wanted to show what I did with David's tutorial. I tried to make it appear as if there is a storm on it's way. Well if you will settle for some advice, and maybe some help. This PDF Horo has put together to solve the problem so many have of not being able to track down the free content and tutorials. And yes, Mac's are extra tricky it seems - so well done, so many Mac users give up altogether. 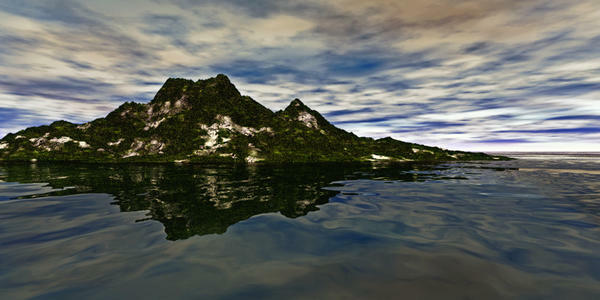 I would suggest, maybe moving the island back a bit and enlarging it. Try to keep it the same size as it already appears in your render but by moving it back and enlarging it you stand a chance of improving the sense of scale. As things stand it looks rather small. If you can get it far enough back to start interacting with the sky's haze then this will help the illusion if you want your island to look large. The sky is a good choice, but maybe like the last poster you would benefit from a bit more light. Edit: By the way, the resource by Horo was helpful. So this evening, I re-rendered my tutorial project hoping to keep the moody atmosphere and HDR effect without it turning out a dark blobby mess. I also found a different water texture to use for this particular render. I'm not sure if I like either one very much but I'm definitely getting more comfortable in the program. The test-render-3 jpg I did some post processing in Photoshop to soften the HDR effect. I think I'm going to try a new project and maybe have something to enter in the contest :) And of course I welcome any helpful advise or critiques. I boost the light to 250% I used the moon and put a ship in the water. Cabin Scene, some of David's excellent tutorials were used in the creation of this..
Well I don't want to tire you with advice, so don't feel you have to pay any heed to what I say. Other people will have different views. 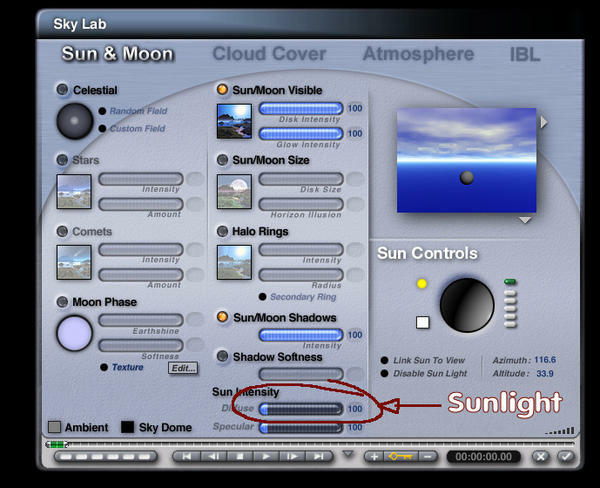 Stormlyght - I would suggest for you, experimenting in the sky lab with the haze settings, remember you can use the little triangle under the preview to "render in scene" to get an idea of what is going on in the main view. Haze is often critical to having a sense of scale. If necessary, lift your camera and pull it back till the water ripples look the right size and then scale up your island to fit. 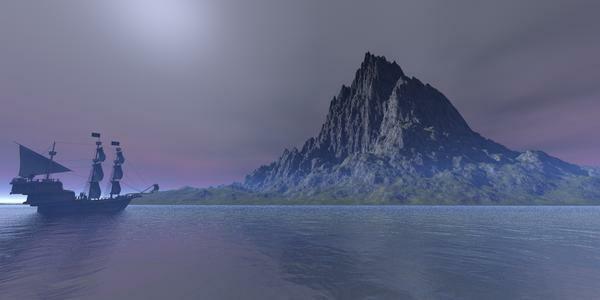 Try lots of different skies, land materials and water materials, see how the feel of the scene evolves with each change. I reckon on getting one decent render out of 20, so don't be afraid to keep throwing out your scenes and starting over. Sasje - you've got a nice composition working here, you maybe though have too much foreground haze and it is spoiling the overall contrast of your image and giving the impression the image has been washed with milk. If you like this effect, that is fair enough, the artist's choices are final, but otherwise as I suggested for Stormlyght, experiment with other skies, random skies and see what happens. You've nailed the scale I think, that is working here, and I like the setup, but you could probably get more impact with a different sky. Rareth - The lonely hut on the hill, the sky and the light on the hut all look good. The ground is more or less lost on my monitor. It is not entirely featureless, but I can't detect the form of it. So maybe try some light arriving from low on the horizon to pick out the edges of the terrain? A touch of haze here might not go amiss either, but just to push the most distant parts of the land back - but maybe not, I'm torn, because I like the high contrast between the edge of the terrain and the lighter horizon. So maybe that's not a good idea. Always worth testing, but you don't have to stick with any suggestion if it does not work for you. David, you are helping me out so much here, I seem to be leaving it all to you. I have a distant light behind the camera but it's apparently not doing enough, I'll do a few more test renders and see if I can't get more detail to show with the ground. Thank you for your advice! I'm going to continue to play with the different materials, perspective, and lighting. I'm also going to watch more of your videos on Bryce. They are easy to follow and this mode of learning appeals to me. Stormlyght, well if I tell you for the first year with Bryce I did little more than terrains, spheres and infinite water planes lit with the standard Bryce sun, you will see that my own progress was not exactly rapid. I would say though, don't overburden yourself with new stuff unless you are blessed with an extraordinarily retentive memory, focus on a few things at a time and try to get to the point where you are dictating how they work for you. Light is probably the biggest contributor to the perceived quality of a scene, so if you find you are not getting the right light, set all the material to grey and systematically switch everything off until you have a fully black scene. Then start adding a bit of light at a time and see what happens. Sasje, Looking good. Nice choice of materials, the sky is a bit extreme maybe, but it works. The sun looks a bit dull, but there are ways and means of boosting the appearance of the sun if you are up to a challenge. Bryce 15 minute project - turning the rainbow material into a bright star effect - by David Brinnen Or at least might give you an idea how to make it look a bit brighter in the sky. Rareth, a standard radial light with "falloff" set to "none" will put out probably more light than you need (but you can always reduce the effect).